First of all, happy Halloween/Nightmare Night everypony! If you follow this site, I’m sure you at least know of the Luna games. For those of you living under a rock, this series of creepypasta platform titles has become a viral sensation for its nightmare-inducing scares. 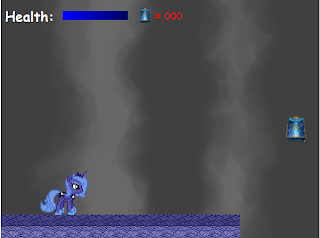 Much like Luna herself in the recent episode Luna Eclipsed, fan developer Dialgabrite wanted to prove that a good game featuring Luna doesn’t have to be terrifying with his project Innocent Luna Game. Was he able to do it? Let’s find out after the break. 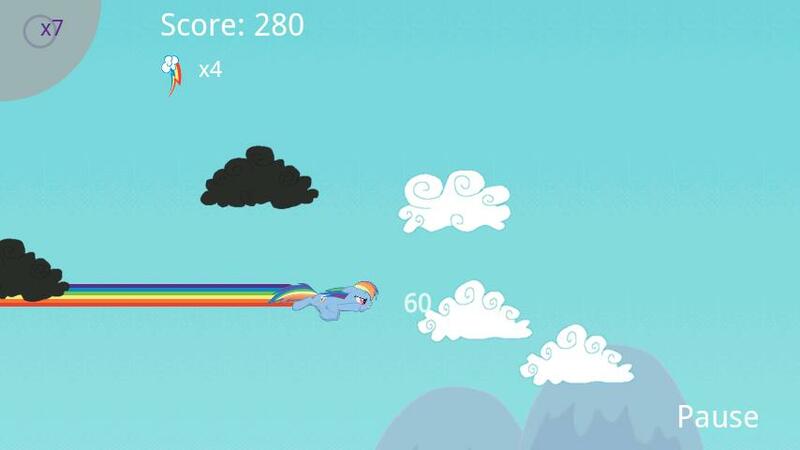 Well, this is apparently the first My Little Pony Friendship is Magic Game to come out on the Android. Now, I do not actually own an Android, so I can't properly review the game, but I'll just repeat what some others said. The game was made well, and while the touch screen controlls can be a little difficult and buggy, the tilt controls works really well with the game. There is a distinct lack of music and sounds, more than a few people noticed. The biggest problem with the game was the Ad, it completely blocked out the score so it was impossible to see how well you've done. Overall, the game was extremely well made, one of the better Cloud Destroying Arcade games out there. I can't really score it without actually playing the game, but it's gotten a very good review on the Android Page, so I'd say it's more than worth getting. Development team Manestream Games has unveiled the demo to their new game Cutie Mark Crusade: A Dash of Adventure. This is a point-and-click game starring-who else-the Cutie Mark Crusaders. The art style is very detailed and accurate to the show, and the gameplay shows a lot of promise, even at this early stage. However, this is just a concept demo so it's far from the final product. If you enjoy it and want to support the team, follow them on Facebook or Twitter. If you have any critiques, Manestream encourages you to let them know, so post on either of those or send them an email at info@manestreamgames.com. Check it out now! I woke up this morning and turned on the Hub, which happily informed me today was the channel(and My Little Pony: Friendship is Magic)'s first anniversary! I wasn't able to really celebrate it since I just returned from traveling, but I knew I had to acknowledge the birthday of the show that not only created a fandom of wonderful and caring and creative people, but also was responsible for this website. The show itself has been consistently amazing thus far, and I can't wait for what's to come! Also, I know it's been a week without gaming news, and I'm sorry for that. Wow, a Scootaloo game! She's one of my favorite characters and rarely gets recognized by fans outside of comparisons to flightless birds, so it's really nice to see a game based around her! This one in particular is based on a fairly popular iOS game called Tiny Wings, which is about...a bird who has trouble flying. Oh. I see what you did there, NutcaseNightmare. But I'm going to reserve my judgment on the rest of the game until after the break. 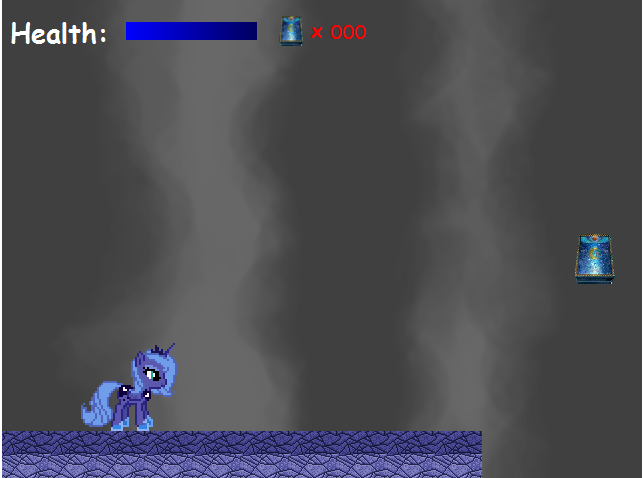 Public MLP Online Demo Released! If you'll recall, we had an article on this FiMMMORPG(try saying that 10 times fast!) not too long ago. It seems the project's been picking up a lot of steam, as you can see from the video above. In fact, the game was presented at BroNYcon(which I sadly missed) to high praise. This new, public demo is an enhanced version of the single-player portion of the one seen there, so if you were lucky enough to be there you should know what you're getting into. Regardless of if you were or not, definitely check it out and give the hardworking devs some player feedback here.